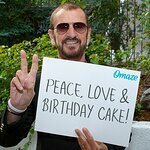 Ringo Starr is selling off some amazing memorabilia for charity. Join Julien’s Auctions for a once-in-a-lifetime auction, curated by Ringo and Barbara Bach, featuring items from their London estate, and Beverly Hills and Monaco residences. The couple met in 1980 on the movie set of Caveman, and have enjoyed an enduring love ever since. 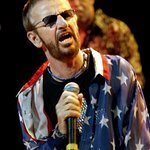 The auction celebrates their lives together and consists of musical instruments including drums and guitars, career memorabilia from the Beatles era and Ringo’s solo career including his All-Starr Band, fine antiques and custom-made eclectic furnishings, as well as fine art and personal items. Highlights from this historic auction include seven of Starr’s stage and studio used drum kits: Starr’s first Ludwig Oyster Black Pearl drum kit used to record some of The Beatles biggest early hits and used by Paul McCartney on his album McCartney; the custom built Jumbo Silver Sparkle kit used in the “Hello, Goodbye” film from 1967; the Ludwig Silver Sparkle kit used on Starr’s inaugural Ringo Starr and His All-Starr Band tour; a kit of toms commissioned for Starr by George Harrison; among others. Also included are instruments gifted to Starr by bandmates and friends: a George Harrison Gretsch guitar, John Lennon's “Beatle Backer,” and a Gibson Les Paul from Marc Bolan. Barbara Bach’s beauty and style will be shared through this auction of personal and event worn clothing and jewelry from both Starr and Bach. Designers Zandra Rhodes, Stella McCartney, Prada, Libertine, Issey Miyake, Elizabeth Emmanuel and Versace are all represented. Starr’s personal and stage worn clothing by designers Richard Tyler, Dusenbery, Armani, Gucci, John Varvatos and Nigel Curtiss and tour jackets personalized for both Bach and Starr are also included. The tuxedo worn by Ringo when he was inducted into the Rock and Roll Hall of Fame as one of The Beatles is included along with the gown that Barbara wore that same night. The couple’s style extends to their exquisite residences which feature many colorful custom-made furnishings, along with fine British antiques, European mirrors and light fixtures, and contemporary art. Among the top lots in the sale are a suite of custom painted and monogrammed bedroom furniture, an Empire style dining table and chairs, a Gothic Revival mahogany bookcase, a Lalique “Soleil” ceiling mount light fixture, a Loys-Lucha enameled light fixture, an antique Louis XV wall mirror, a pair of Art Deco wall mirrors with blue accent panels and a copper Art Nouveau wall mirror. There is also a fine selection of Asian art featuring standing and seated Buddhas and a monumental gilt wood “jeweled” standing Buddha, a bronze and parcel gilt statue of Ganesh and a pair of Tibetan Thangkas. Examples of fine art to be offered in the auction include an original Nikas Safronov portrait of Ringo Starr, a Peter Blake “Love Me Do” screen print of The Beatles, a print by David Hockney, and also original artwork by Ringo Starr himself. This is only a small glimpse of the spectacular items offered for sale. Join Julien’s online and at the live auction in Beverly Hills, California to experience what will be the most talked about auction of the year. Portions of the auction proceeds of the Property from the Life and Careers of Ringo Starr and Barbara Bach will benefit The Lotus Foundation, a charity founded by Starr and Bach. The Lotus Foundation is an organization which assists with a wide range of worthy causes around the world, focusing primarily on family and child welfare, women’s issues, addiction recovery and education. The Lotus Foundation is based in London.